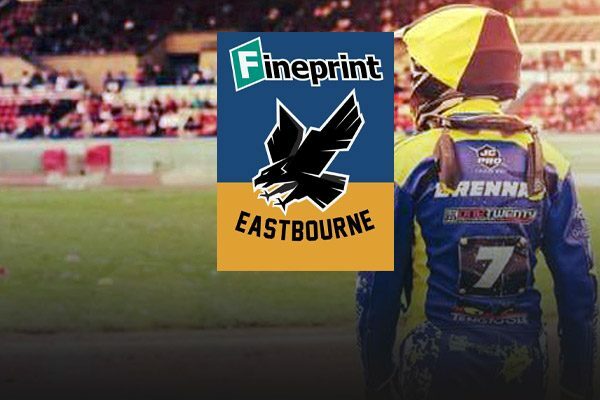 Four successive nights of stunning ‘on-tour’ summer speedway beckon for Eastbourne Fineprint Eagles fans. The fixture list already showed three nights on the bounce and yesterday’s (January 29th) announcement of BSPA major events has given the trip a further boost. It means fans who head for the north of England and Scotland will now be able to take in the British Under-19 Final at Redcar, which is set to have plenty of Eastbourne interest. The running of the U-19s at Redcar is a major boost for fans planning the trip because it is likely to feature three of last year’s double winning Eagles – last year’s runner-up Tom Brennan, Jason Edwards and Charlie Brooks. Get the dates in your diary but you might like to hold fire on booking for a month to six weeks. Fineprint Eagles Commercial Director Ian Jordan is already actively discussing a hotel base for the team and a VIP offer for some fans to stay in same hotel. He is also looking to source other affordable hotels. As always, details will appear on this website and be promoted through our social media channels. *Season tickets: Fans will be able to apply for 2019 Season tickets at the fans’ forum this coming Sunday 3rd Feb. Details of the Forum can be found here. 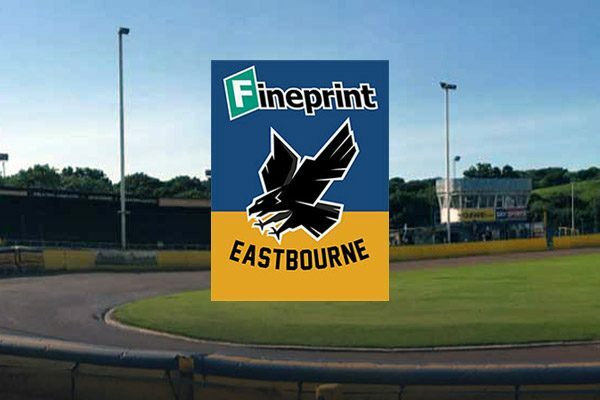 The Eastbourne Fineprint Eagles preparations for the new season back in professional speedway have received a tremendous boost. Robins of Herstmonceux have joined the backroom team of supporting companies as Club Sponsor. The Robins’ lorries are a familiar sight for Eagles’ fans on the roads throughout the area. The family firm has been a long-term sponsor of Edward Kennett, who has returned to the Eastbourne ranks for the new campaign. Club Director of Speedway, Jon Cook, said: “The support from our team sponsor, Fineprint, and community partner, HG Aerospace, had already placed the team in a superb place for the season ahead. He continued: “We are extremely fortunate to have Mick and Ice’s support for both the Eagles and offer of practical help for what Martin and I are hoping to achieve at Arlington Stadium. 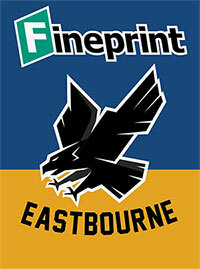 “Mick and his boys were the backbone of our Brighton Bonanza promotions and they’ve long supported the Eagles. “For that level to increase amid the enthusiasm that everyone has for the season ahead is tremendous. 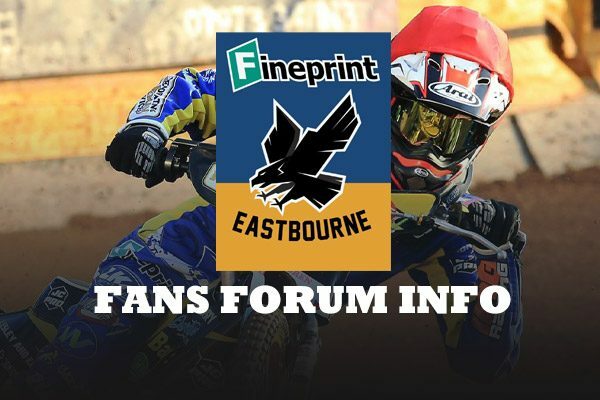 Eagles fans can hear more about plans for next season at a fans’ forum on Sunday at the stadium (2pm) and ahead of that is news of a new signing on Friday which will add to the feel-good factor in Sussex. To learn more about Robins of Herstmonceux and their services click here. The initial list includes 10 home and 10 away Championship league fixtures, 2 home and 2 away Championship Shield fixtures and a 1st round home and away KOC tie against Birmingham Brummies. Our first scheduled home meeting is on Saturday, April 6th and Press and Practice Day is scheduled for Tuesday 2nd April. We will run on Good Friday, April 19th, and have a couple of scheduled Sunday afternoon matches to enable us to have good flow and continuity of fixtures all season at home, and to accommodate a fellow Saturday track Leicester. Dates for BSPA shared events (specifically Championship League Riders’ Final; Championship Fours Final Day and Championship Pairs Event) will be added to the list as soon as they are formally announced by the BSPA. The fixture list also shows a “Northern Tour” in August and the club will be announcing, in a few weeks time, some exciting news about this trip and possible VIP packages and discounted hotel accommodation. Further news about related stadium events will be announced in due course. We will have a detailed update of our 2019 season ticket and admission charging and concession plans on Monday, January 28th. 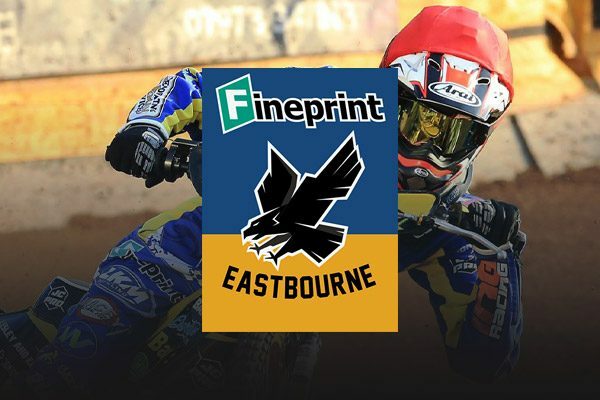 We are proud to launch the new Eastbourne Fineprint Eagles website and Eagles TV (in conjunction with The Speedway Portal). 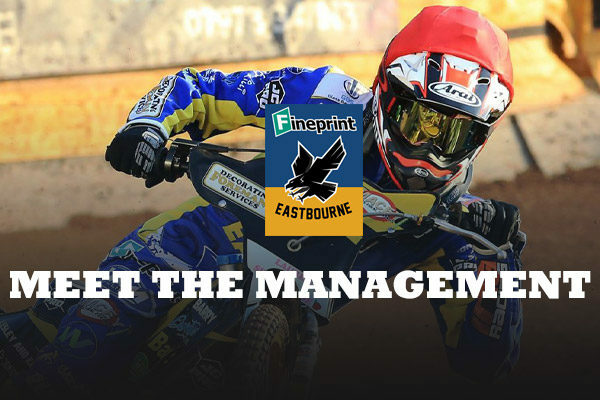 The stand-out website has been designed and created by freelance Creative Director Ian Smalley with content and creative influence from the Eastbourne Eagles media team. Eagles TV, born out of an idea from Connor Dugard, which has been picked up by the new management, has been created and designed by Andy Hague at The Speedway Portal, again with input from our media team. The site’s launch puts us at the cutting edge of speedway and indeed sports media and is in tune with our bold new launch under new management in 2019. “To work with two such outstanding talents as Ian Smalley and Andy Hague has been an absolute pleasure for me. “Together with our outstanding media team, I believe we have got the potential for a fantastic media presence across our website, online TV and social media. “The full potential of both the website and Eagles TV, which is online, will only be seen once the season starts once we have all of the riders together, photographed and interviewed. “From then on, we will have regular news and features. Ian explained that the full launch of the online Eagles TV allowed the club to share the excitement it has about a TV portal. 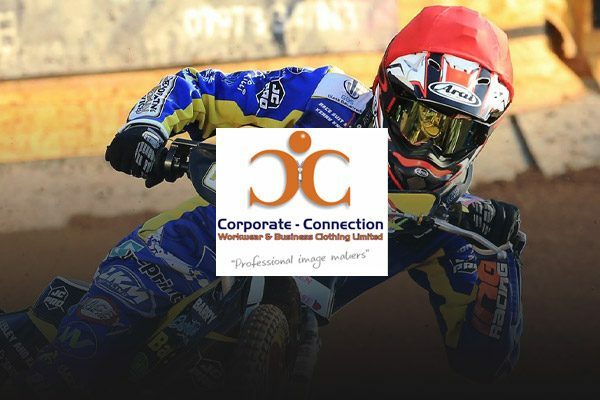 It will have some racing content and also include speedway documentary filmed at matches, some behind the scenes club and stadium insights, sponsor and advertiser features and has the scope to bring the club in all its facets to your TV, computer, laptop, tablet or phone 24×7. “It will also revolutionise our interaction with sponsors and advertisers. “The full Eagles TV launch will be in mid-March, until then we have around five hours of archived material (much of it unseen) going back 15 years for you to enjoy,” Ian said. “Transparency and connecting with supporters and sponsors, whenever possible, is a fundamental part of the club we are trying to create. “The new website and Eagles TV is the perfect window in to that aim. “The website puts us right to the forefront of the genre and we have exciting plans for a further enhancement and upgrade to coincide with the Fans Forum and Track Staff Meeting on February 3, both of which will also feature on Eagles TV. “I cannot thank Ian and Andy and everyone else involved, especially Paul Watson, for their help in the past 8-10 weeks on this project. Martin Dugard and Jon Cook have teamed up to take over the lease to run Arlington Stadium. The duo, who have a long relationship, organised the popular Brighton Bonanza which attracted big crowds for indoor speedway over a number of years. 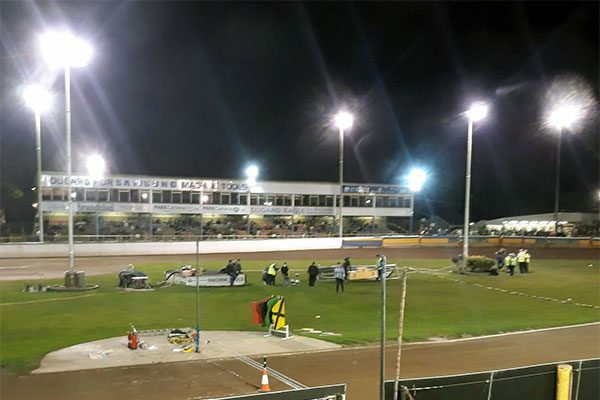 Cook, is a former promoter at Arlington, and has returned to lead the Eastbourne Speedway’s return to professional speedway as part of the Championship league. Dugard stepped down from running speedway art the end of last season after guiding, with his son Connor, to seven trophies in the National League in a four-year period after they took over when the speedway was threatened with closure. The date and times for Eastbourne Speedway’s new season fans open chat session and staff meeting have been announced. All supporters who wish to attend Arlington Stadium on Sunday, February 3, will have the opportunity to meet and chat to the new management team of the Fineprint Eagles. The event will be in the clubroom between 2 and 4pm. Non alcoholic drinks and snacks will be available. Earlier on the same day, starting at 10.30am, there will be a staff meeting for all officials, track staff and first aiders at Arlington Stadium. A contact e-mail address will be made available shortly on the club website for anyone wishing to apply to join the track staff.